STK Networks offers our clients a comprehensive lineup of voice and data telecom services, including an optional consultation service, to all our business customers nationwide. We work diligently with each customer to design a custom telecommunications solution to suit their needs and requirements. 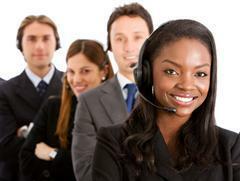 Our professional and experienced team members work to ensure that our clients receive top notch customer service, the latest progressive technology and the most efficient, cost-effective programs. Our clients reap the benefits of our attention to detail and commitment to providing effective solutions via top telecom providers. Our drive to deliver the latest technology, newest services and most streamlined management and monitoring tools, helps them to do more and save money in the process. We make it easy for our customers to maximize their telecom services by helping them to create, implement and manage their accounts with ease. Our team works hard to ensure that your custom telecommunications solution is not only top of the line, but also cost effective. Because we contract directly with the telecom carriers, STK Networks is able to give our clients products that has everything they need without having to pay for things they won’t use. We work with the carriers as a neutral party to negotiate on our client’s behalf to get them the terms and rates they need to run their business. We also stay on top of all the new technology (MPLS, Wireless, VoIP, etc. 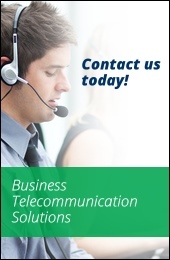 ), products, tools and equipment within the telecom industry to ensure that our clients get the best there is to offer. Our streamlined account management process helps clients to work more efficiently by enabling them to get control of their telecommunications budgets, resolve any issues or sourcing cycles, deal with compliance issues, as well as expedite billing and processing. We are also committed to removing any delays in the procurement process that might impact remote workers or technology migration.